ISBoxer.com • View topic - Hotkey to enable/disable a repeater region? Hotkey to enable/disable a repeater region? Is it possible to hotkey a repeater region? I'd like to be able to turn a repeater region on/off via hotkey for my raid frames which are only present in a raid group in WoW. However, I don't want or need it active if my team isn't in a raid group. Any suggestions? Re: Hotkey to enable/disable a repeater region? 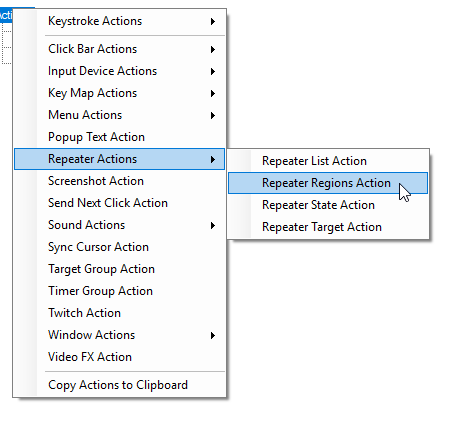 You can use a Repeater Regions Action. They are fairly limited in that it is remove all, and load a set, but you can certainly use that options to make various toggles as needed.